Stephen Beachy is a writer. He was born in Des Moines, Iowa, in 1965. His first novel, The Whistling Song, was published by W. W. Norton with cover illustrations by Curt Kirkwood in 1991 and his second, Distortion, by Harrington Park Press, in 2000. Two novellas, Some Phantom and No Time Flat were published in 2006, from Suspect Thoughts Press. His fiction has been published in BOMB, Chicago Review, Blithe House Quarterly, SHADE, and various anthologies. 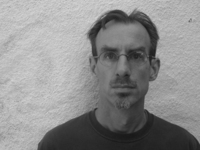 He has written literary criticism for the San Francisco Bay Guardian. In October, 2005, he published an article in New York Magazine, exposing the writer JT LeRoy as the concoction of a woman named Laura Albert, with the help of her family members. Beachy teaches in the MFA Program at the Un Stephen Beachy is a writer. He was born in Des Moines, Iowa, in 1965. His first novel, The Whistling Song, was published by W. W. Norton with cover illustrations by Curt Kirkwood in 1991 and his second, Distortion, by Harrington Park Press, in 2000. Two novellas, Some Phantom and No Time Flat were published in 2006, from Suspect Thoughts Press. His fiction has been published in BOMB, Chicago Review, Blithe House Quarterly, SHADE, and various anthologies. He has written literary criticism for the San Francisco Bay Guardian. Beachy teaches in the MFA Program at the University of San Francisco. Beachy is also a second cousin of biologist Philip Beachy and historian Robert Beachy.